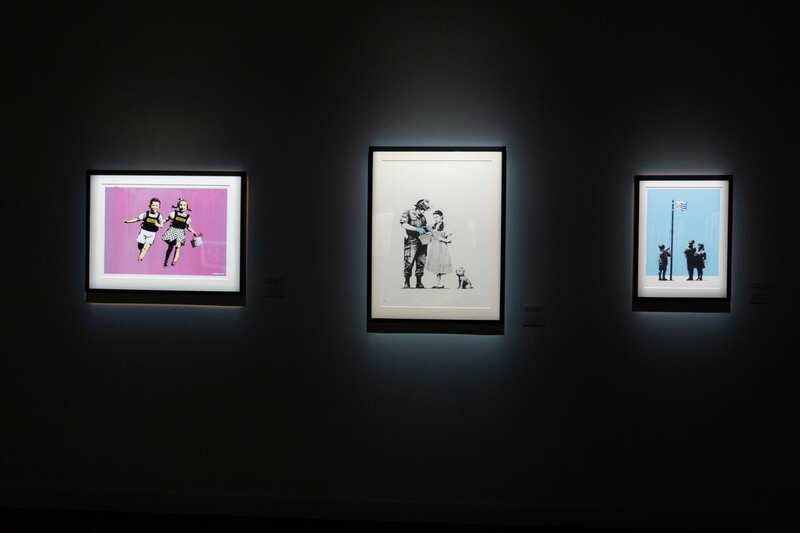 “The Art of Banksy” exhibit has opened in Miami just in time for Art Basel. It will run from now until February 28th in Little Haiti. 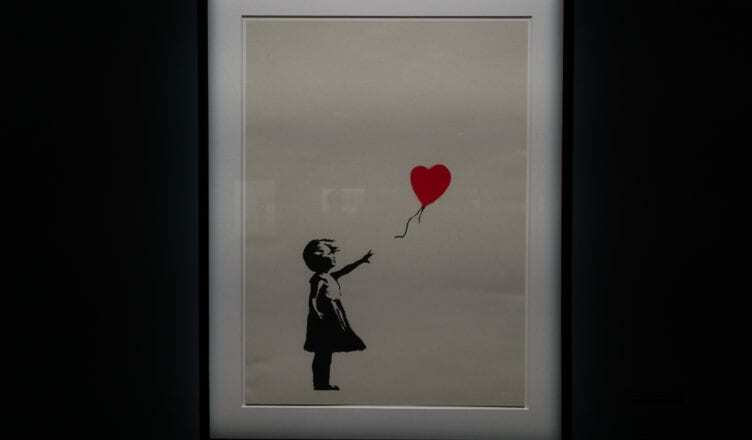 It is being marketed as the largest exhibit of Banksy’s art ever created, which sounds awesome, but it isn’t. Save your money. It’s kind of a scam. The works in the show are not bad. 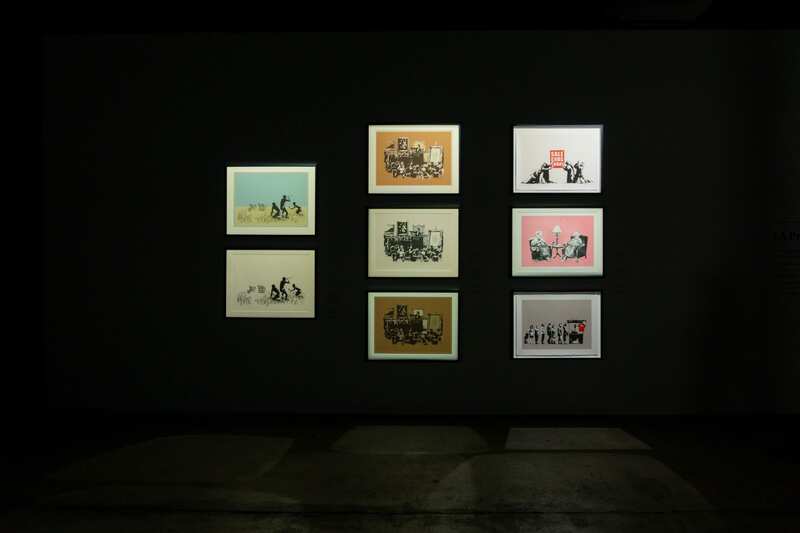 They indeed chronicle a period of Banksy’s life where he produced some of his most iconic work. All the prints are there for you to see but it’s just not worth the price of admission, $35 to $50. That is a lot of money, like a lot. 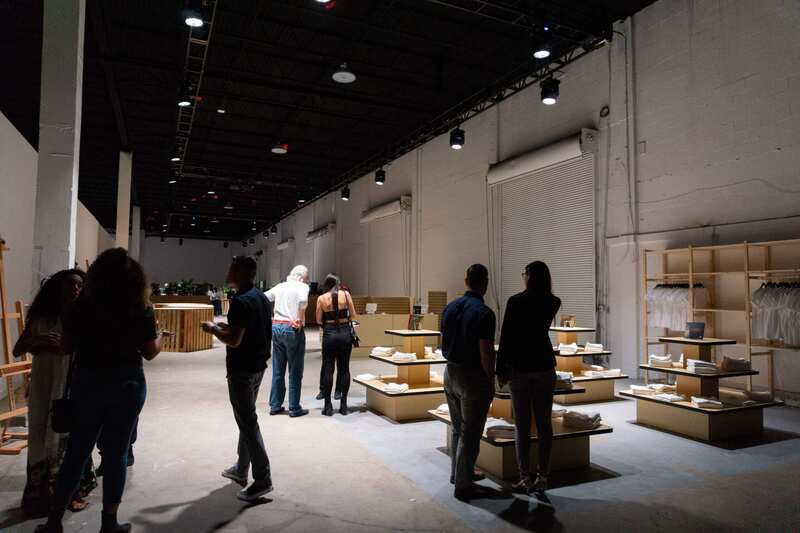 Plus, there is this feeling of inauthenticity hanging in the warehouse air. 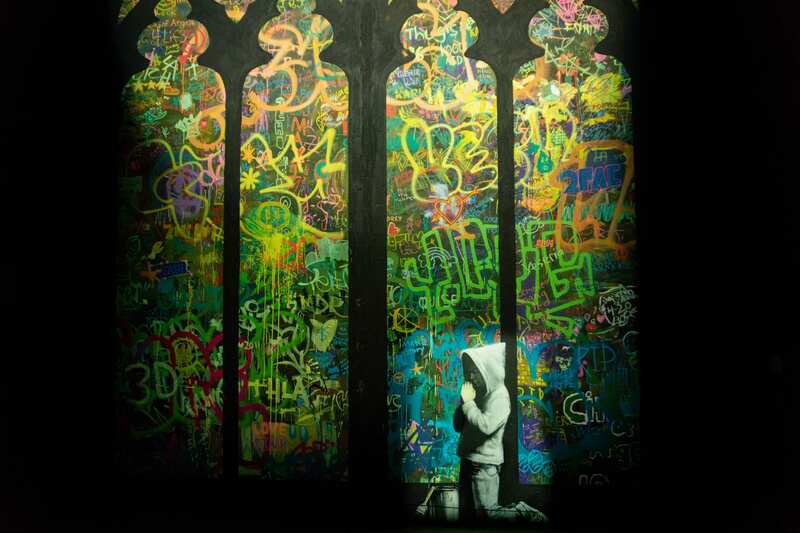 Whether emanating from the sell out commentary from the show’s curator, Steve Lazarides, who was Banksy’s manager for 12 years. His voice and image is spread throughout the show in video and illuminated quotes. In addition, there was this terrible house music blasting (at least preview night) and overpriced drinks. We literally exited through a gift shop. It’s one hundred percent commercialized. 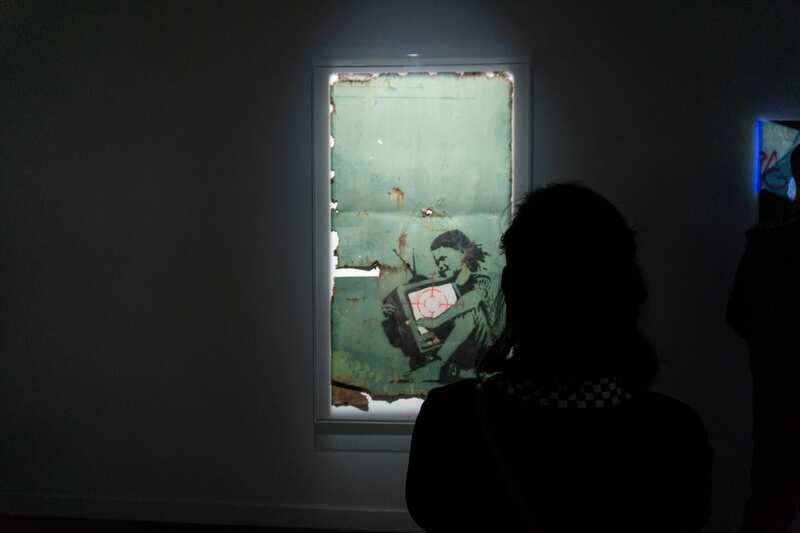 “The Art of Banksy” is the Anti-Banksy Banksy exhibit. Of course the artist himself hates this. And the marketing behind it? Painting buses and metro movers? This is a classic bait and switch. 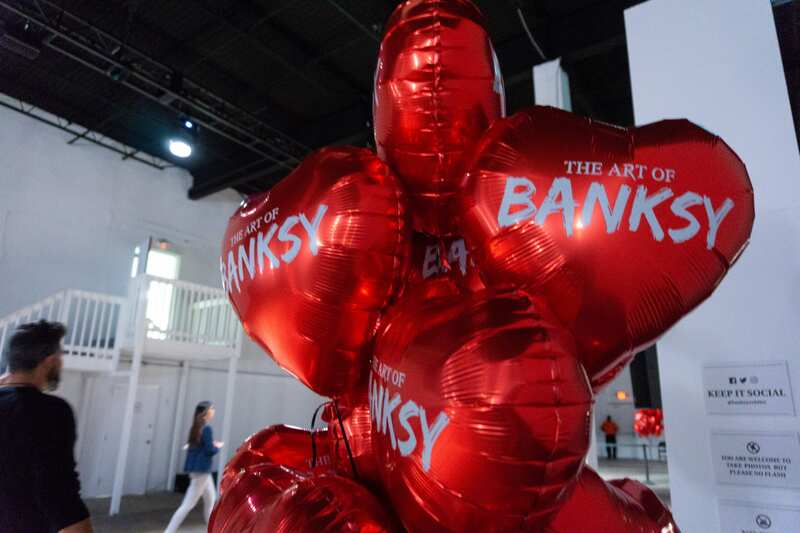 It’s bad because there will be local artists and Banksy fans who will go to the exhibit and leave feeling robbed mainly because of the price of admission, not so much because of the work. 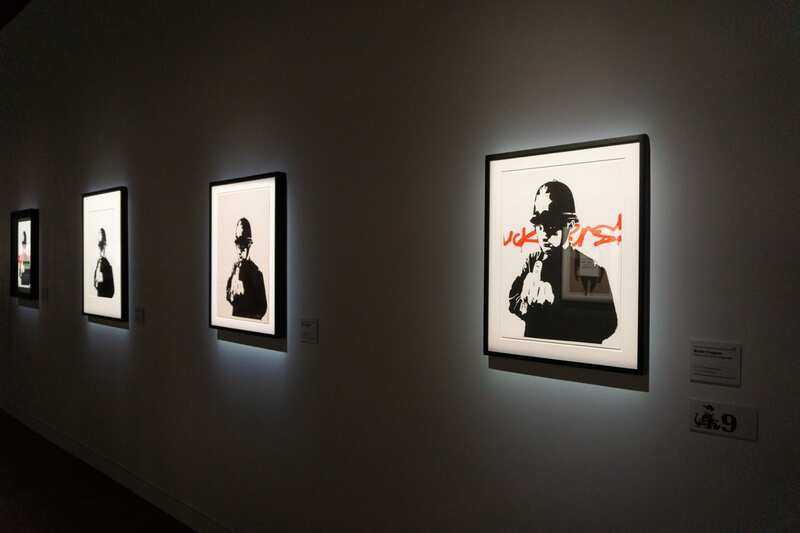 The Art of Banksy exhibit might work for Europeans and Basilites, but they’ll be gone in a week. 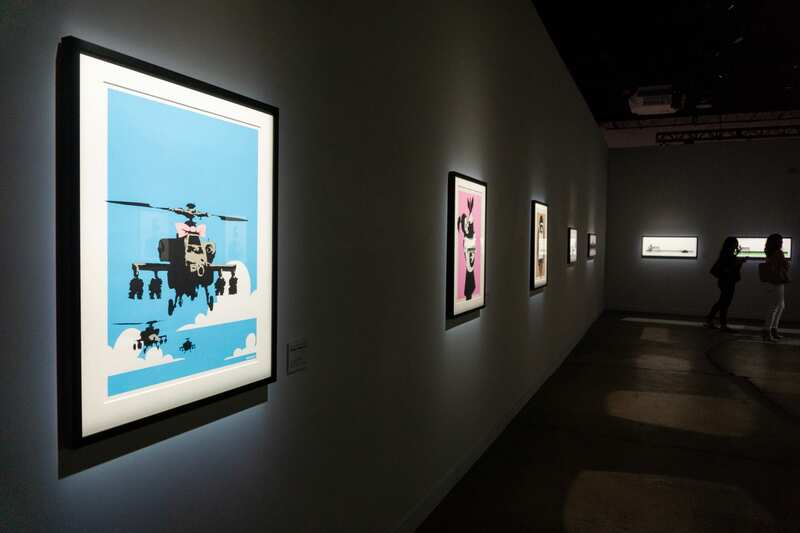 “The Art of Bansky” is definitely a huge and expansive exhibit of Banksy’s work. Like, there are a lot of his works on display. The works work. Who knows? Maybe we are being harsh. Maybe you’ll like it. But just remember, exit through the gift shop.